Pro-Russian militants have violated the full ceasefire regime in Ukraine's Donbas on the first day, said Leonid Kuchma, Ukraine's second president and now Ukrainian negotiator in the Trilateral Contact Group, according to Darka Olifer, Kuchma's spokesperson. "On the previous day, the Trilateral Contact Group in Minsk expressed support for a full ceasefire starting from April 30, 2016. However, as of today there have been violations of the regime in certain areas of Donetsk and Luhansk regions. 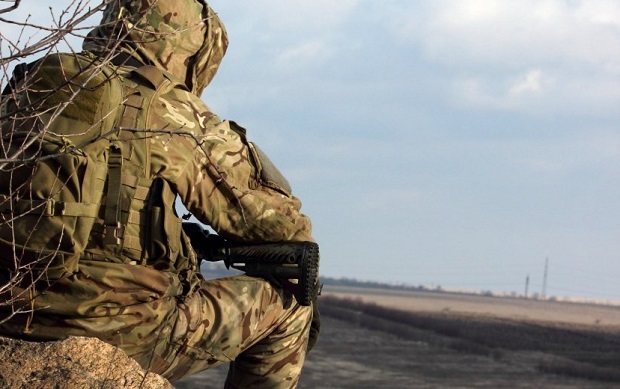 Such violations occurred in Shyrokyne, Avdiyivka, Maryinka, including with mortar attacks. Ukraine has been consistently implementing its commitments [under the Minsk agreements] and does not respond to provocative attacks that take place," Kuchma was quoted as saying. Read alsoUN Assistant Secretary-General: 9,300 killed in DonbasAgainst this backdrop, Kuchma called on the Russian Federation, as well as the occupied territories in Donetsk and Luhansk regions, as parties to the agreements, to fulfill their ceasefire obligations on the eve of Easter holidays. As UNIAN reported earlier, Ambassador Martin Sajdik, the Special Representative of the OSCE Chairperson-in-Office in Ukraine and in the Trilateral Contact Group on the implementation of the peace plan in the east of Ukraine, said April 29 that the Group had agreed on the full ceasefire starting from the midnight of April 30.